What ever happened to Robert Sutherland Telfer? And just who the F is Robert Sutherland Telfer you must be wondering? Robert Sutherland Telfer played Scott Erickson in the 1st season of “Saved By the Bell: The New Class.” He was supposed to play a sort of next generation “Zack Morris.” According to Dustin Diamond in his book “Behind the Bell,” RST apparently was removed from the show and promptly replaced when it was learned he was a “radical conservative” and his views were discovered by all on the set. I found it a bit hard to believe that he would have been removed for this reason given that Saved By The Bell producer Peter Engel served as a dean at Pat Robertson’s(of all people!) school, but perhaps these decisions were made at lower levels. Not to mention Hollywood people, probably Peter Engel included, are quick to dump anyone or sell them out at the first sign of controversy/confrontation. 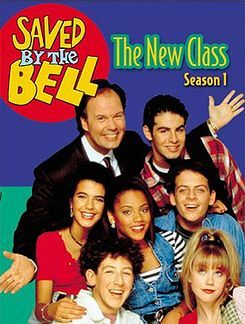 And this was NBC after all… So if anyone knows what happened to the evil right wing reincarnation of Zack Morris and what he is up to now, let me know. IMDB indicates he never worked in that town again.